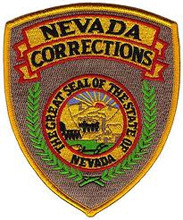 This page contains Inmate related information for all of the jails and prisons in Nevada. We highlight the important things that you need to know when you have someone you love incarcerated. Our users can easily get the visiting regulations and hours, facility telephone numbers, and information on mailing an inmate, sending money and searching the current online databases of offenders. We try our best to keep our visiting hours current but we manage information for thousands of correctional facilities. This is why we ask all prospective visitors to call the facility prior to visiting to ensure the hours have not changed. If you find that we have the incorrect hours for any of our facilities please contact us through the comments section at the bottom of the correctional institutions page and we will update it.